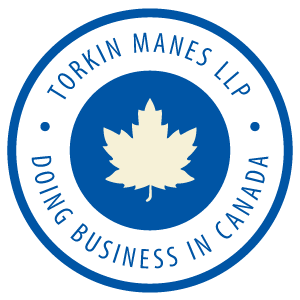 At Torkin Manes LLP, we are proud of our involvement in working with our clients on developing new, and acquiring existing, Canadian businesses. We believe that foreign investment benefits both Canadians and the global economy. With this in mind, we have created Doing Business in Canada: A Legal Overview to highlight some of the fundamental issues that foreign businesses and decisionmakers need to consider when evaluating Canada as a possible investment destination. We hope you find this publication informative and useful. To access our Doing Business in Canada guide, please click on the image/link below.